Recently, a number of websites have proclaimed the lawyer, or maybe the website is a, “Top Employment Lawyer.” Lists have also appeared proclaiming who is a, “Top employment lawyer.” One earns the right to be on the list of top employment lawyers if they advertise in the magazine whom publishes the list, or a few of one’s friends vote the lawyer in as a, “Top employment lawyer.” The vast majority of these so-called, “Top employment lawyers” could not handle an employment case in any court. 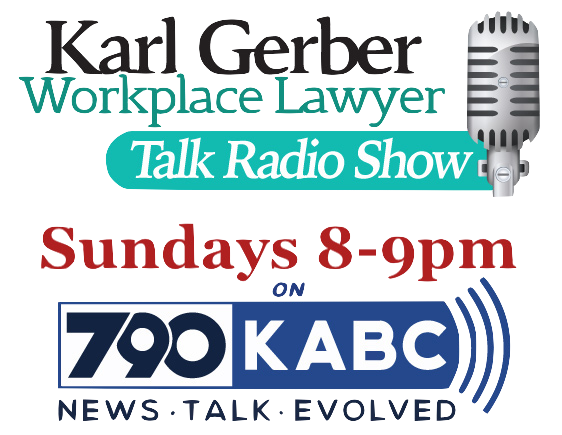 I, Karl Gerber, have represented employees in employment lawsuits since 1993. Whether I am a top employment lawyer or not, I do not care and do not know how to measure. What I do know is who actually does employment law cases in Los Angeles, Southern California, and many other places. What offends me the most is the firms claiming they are top employment lawyers have not tried any employment cases in court, or arbitration, or scarcely have done so. Others have not tried an employment case in years, if not decades. The firms claiming they are top employment lawyers have not filed, nor won an employment law appeal ever, or in any great mass. Most of the firms claiming they are top employment attorneys are run by lawyers who do not actually do any legal work, but delegate it to recent law school graduates who know little about employment law, or representing clients. How about this, you hire us and decide if we are Top Employment Lawyers. Alternatively, read our website. See our published employment appeals and published arbitration and trial victories. Lawyers can buy advertisements proclaiming they are top employment lawyers, and they can pay to pose in pictures with important people, but results and experience are what clients need; not bought hype. The Employment Lawyers Group has been in the same Sherman Oaks location since February of 1999. We added a downtown Los Angeles office in 2011. In the last five years we have added offices in Bakersfield, Boston, Orange County, Oxnard, Riverside, San Bernardino, San Diego, and San Francisco. What Kind Of Clients Do Employment Lawyers Represent? Our Employment attorneys represent employees who have been discriminated against at work, wrongfully terminated (sometimes in a discriminatory fashion), sexually harassed, and denied accommodations due to medical conditions. We also represent employees who were not paid all of their wages due. In these wage and hour cases we sue for unpaid bonuses, commissions, double time, meal breaks, minimum wage, overtime, pay stub violations, prevailing wages, rest breaks, and stock options. For a complete list of all of the employment cases our California employment lawyers handled, please click here. Call us at 1-877-525-0700 to talk to an experienced employment lawyer; not a newly hired incompetent receptionist.